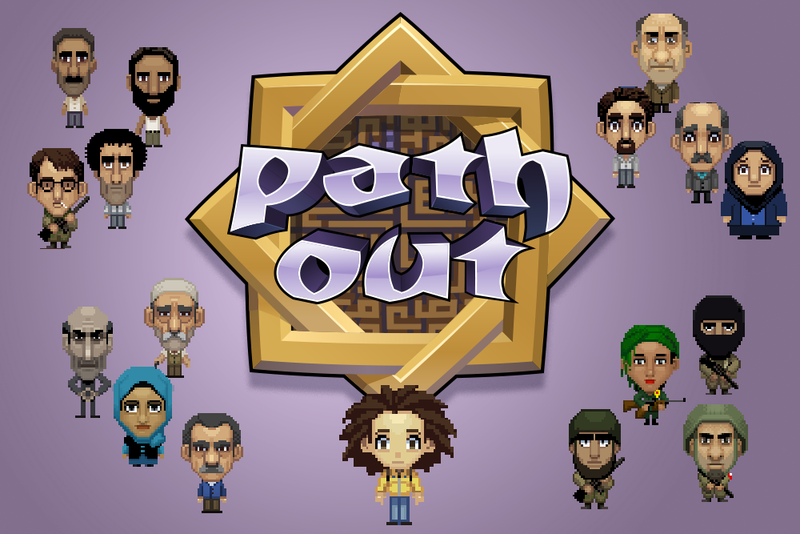 Path Out is is an autobiographical adventure game that allows the players to replay the journey of Abdullah Karam, a young Syrian artist that escaped the civil war in 2014. 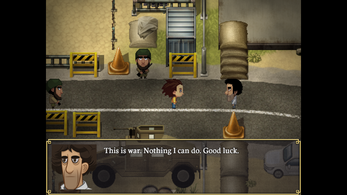 Camouflaged as a Japanese RPG, Path Out is a tale full of surprises, challenges and paradoxical humor, giving insight in this real-life adventure, on which Abdullah comments through youtube-style videos in the game. 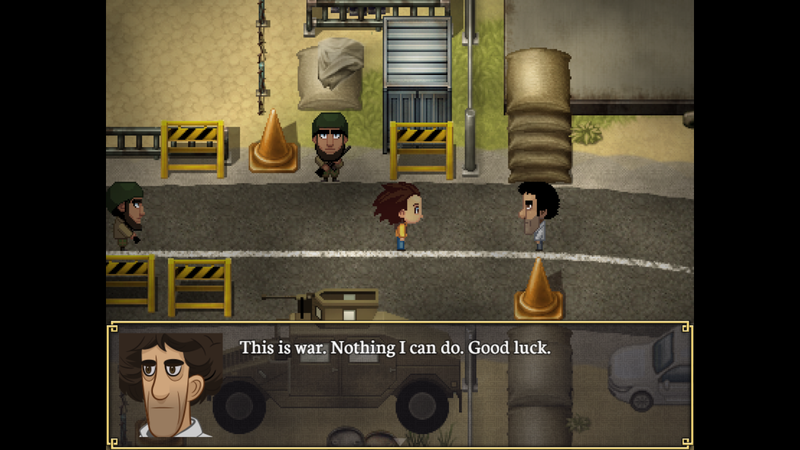 Relive Abdullahs escape from war-torn syria. Unique neo-orchestral electronica music with oriental influences by wobblersound. 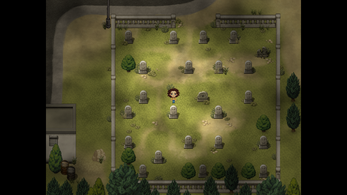 Path Out is an episodic game. 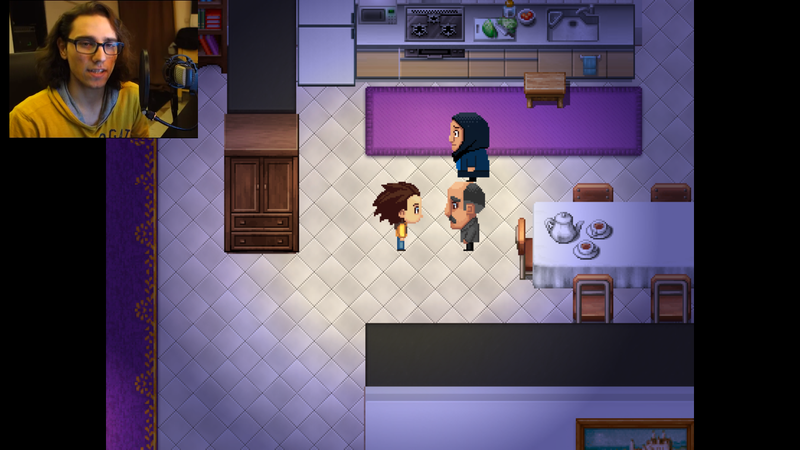 In this very first chapter of the adventure , Abdullah recalls life before the war, a family decision that led to his departure and the perilous journey from his hometown Hama to the Turkish border through the war-torn Aleppo province. In its final version of up to five episodes, the game should take the player on a journey from Syria through Turkey, Greece and the Balkan until he finally arrives at his destination (and current whereabout) in Central Europe. 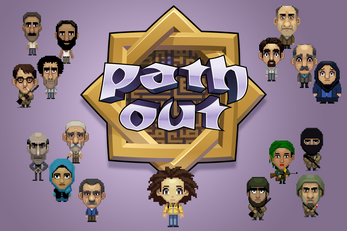 Path Out is a collaboration between Abdullah Karam, the developers of Causa Creations, Wobblersound and the Austrian-American graphic designer Brian Maine. 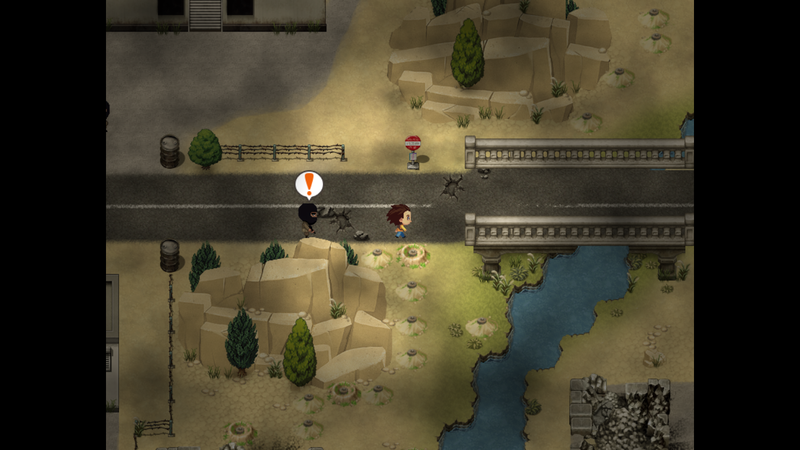 Path Out's first episode is a straightforward but eye-opening work. ... one of the most honest & clever games I've ever played, by & about a Syrian refugee. Supported by Kupf Innovationtopf 2016, the Federal Chancellery of Austria and the city of Salzburg. Very short but otherwise great game! Thanks for playing, very appreciated! I did a full playthrough of this game a while back. The game was great and im sorry the production value of these videos are not as high as they currently are now. Hello from Augustus5star from France. Great game. Even if the topic is really serious, you kept sense of humour. 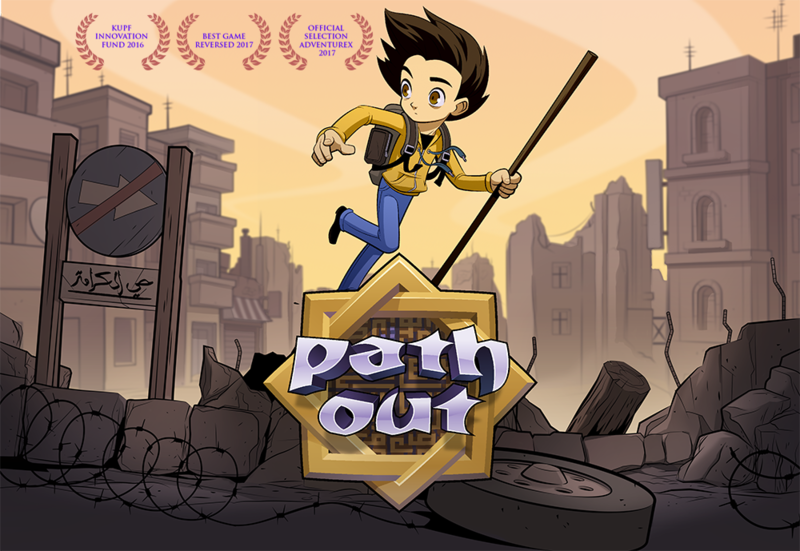 I hope Path-Out 2 will be released very soon. Keep it up! Hey, thanks for your kind word ... we will still take at least a year, since we are currently lacking the funds to make the game, at least in the way we really want to make it. But we are working on that! This is a truly amazing, and eye-opening experience. I intend to do a full playthrough of this game. The gameplay is very simple and that's how it should be, not to get in the way of the (touching & terrifying) story. So congrats, good game and very good idea to talk about this subject this way. I read on some comments advising to do localisation, I think the first thing (and easiest) would be to just add english subtitles when Abdullah talks. I'm not an english speaker myself and sometimes had some trouble understanding. Thanks a lot, Dewal! 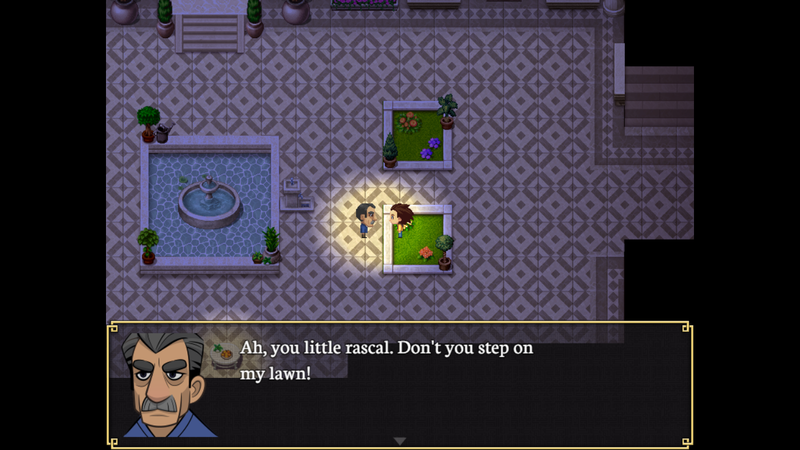 Localisation and subtitles for the video parts are really on top of our list right now! I really liked the idea! Hoping anxious for the next episode. This comment isn't really abot the game, but I was still wondering if you were still living in Turkey. And if so, did you happen to be in Eskisehir yesterday? Because we were in the Esparkk shopping center and I saw someone who looked EXTREMELY like you. I ended up having a crisis about not being able to ask you right in the middle of a clothing store, so I really need to know. Uh... Is that a yes? So you were at Eskisehir yesterday, shopping at Espark?? I swear, if I don't know, I'm going to have to live the rest of my life having crisises about not asking. Thank you for the game! It was great. 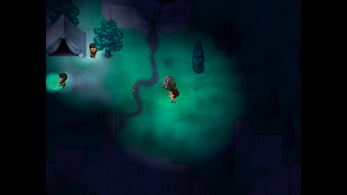 I like the old rpg-style and the music, combined with the serious story. Hope there will be a continuation. A "game" that needs to be played by far more people. Especially by those "refugees out" *******. I think it would be good if you could go even more into detail in the "why you don't fight for your country" matter, or why you didn't take some other family members with you, because that are the first things the "anti refugee movement" comes up with. Like some explanation videos when you encounter the different groups the first time, or leave your parents behind. Thanks for the kind words! 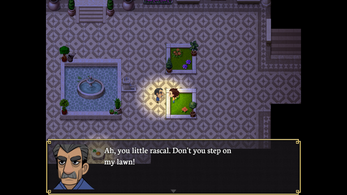 You have some good points there and since this is just a demo for now, we'll try to make those points more clear in the next iterations. Other languages and localisation is also a valid point, we hope to have additional funds to get that started soon too. And thanks for your kind words!! !